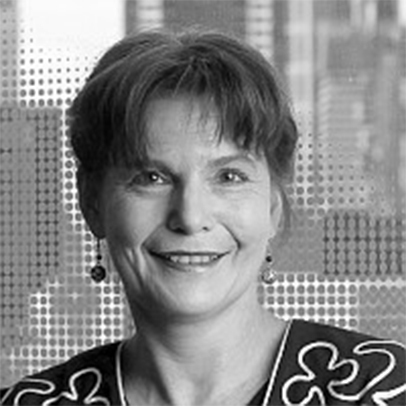 Anne-Wil is Professor of International Management. Originally from the Netherlands, Anne-Wil has nearly 30 years experience in academia and has worked in three countries at six different universities before joining Middlesex. Most recently, she was Associate Dean Research at the University of Melbourne, Australia. Her own research focuses on expatriate management, cross-cultural management, and multinational corporations, as well as the quality and impact of academic research. She has published and presented over 170 papers in international journals and conferences and is one of the world's top 1% most cited academics in Economics & Business. Anne-Wil also has a keen interest in issues relating to journal quality and research performance metrics. In this context she is the editor of the Journal Quality List, the provider of Publish or Perish, a software program that retrieves and analyses academic citations, and the author of "The Publish or Perish Book: Your guide to effective and responsible citation analysis". Anne-Wil has taught courses at every level in the broad field of international management. She has a best-selling textbook on International Human Resource Management, which is currently in its 5th edition. Below is a selection of my recent publications. For a full list (more than 160 books, book chapters and academic papers), see Full list of publications. Harzing, A.W. (2016) Publish or Perish tips, a collection of tips to introduce users to the program's main functions in 80 easy chunks. Harzing, A.W. ; Pudelko, M.; Reiche B.S. (2016) The bridging role of expatriates and inpatriates in knowledge transfer in multinational corporations, in press for Human Resource Management. Available online..
Metz, I.; Harzing, A.W. ; Zyphur, M. (2016) Of journal editors and editorial boards: Who are the trailblazers in increasing editorial board gender equality?, in press for British Journal of Management. Available online..
Harzing, A.W. ; Alakangas, S. (2016) Google Scholar, Scopus and the Web of Science: A longitudinal and cross-disciplinary comparison, in press for Scientometrics. Available online... - Publisher's version - Presentation slides - Video presentation of this article. Anne-Wil is on the editorial board of Journal of International Business Studies, Management International Review, International Business Review, Thunderbird International Business Review, Journal of Global Mobility, European Journal of International Management, Human Resource Management, Human Resource Development International, European Management Review, European Management Journal, and The International Journal of Management Reviews. In the past, she has also acted as Associate or Departmental Editor for Journal of International Business Studies, the International Journal of Cross Cultural Management and the Australian Journal of Management.